We know that health is very important and should be kept well if you want to enjoy your life. Many people are sourcing for different things when it comes to health, such as keeping a healthy lifestyle with healthy food and regular exercise. 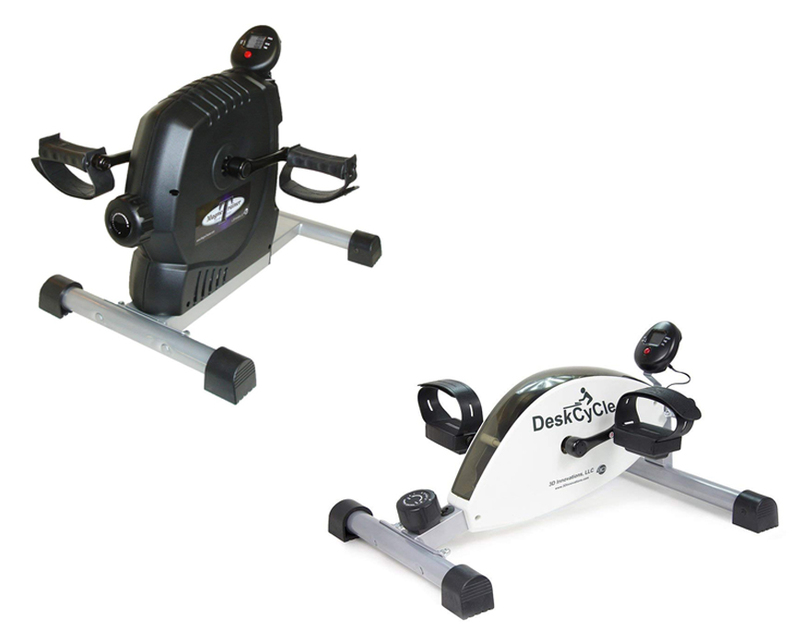 In today Magnetrainer vs Deskcycle article, we are going to give you information regarding these two bike and pedal exerciser that you can use to help staying fit and healthy. If one/both of them took your attention, go check our article below. The Magnetrainer is one of the most popular bike and pedal exerciser in the market and it is not without any reason. This pedal exerciser is the perfect mini exerciser bike that you can use both in home and at your office when you want to relief some stress while doing your work, while watching TV or just talking to a friend and even when spending some relaxing activities alone like reading a book. The compact size and friendly price also makes it suitable for most people. The Magnetrainer comes with a resistance that is controlled by magnets, which is the reason why you can experience such a quiet workouts. If compared to another system using a fan or studio style bikes where the equipment rely on a buffer rubbing against a friction pad to slow down the movement, of course the magnet system is far quiet. With this pedal exerciser, the maximum resistance setting can be adjusted up to 170 watts. The wheel placement also thought carefully and marked with the different levels of resistance you can handle. When looking at the bike, you will notice there is a small screen at the front as opposed to where you belong. The screen is used to monitor the speed, time, calories, distance and running on an AA battery. Regarding the resistance level and this monitor, you still can reach the console and display screen no matter which level you choose. Another benefit you can get when choosing the Magnetrainer is not only you can train your lower body but also the upper body parts. With the pedal trainer lightweight flywheel and range motion, the pedal can move through and makes it ideal to do some arms and shoulder training. Its low profile and extra grip by the feet designs make you able to stand on the bike on a desk in front of you then hold the thinner pedals, which can be used as handle. If you are getting bored of your usual sitting position, this exercise will add more variety to your routine. If you think that Magnetrainer is not tempting enough or want to know more about the other option, the Deskcycle may caught your attention. The concept of these kinds of exerciser is very popular since who doesn’t want to get healthier or drop a few pounds while they are working. The equipment is suitable for those who are struggling to even allocate 30-60 minutes daily to do some moderate exercise. You can use it in either your house or office depend on where you want. From the outside, the exerciser is indeed compact and can be placed under your desk effectively without consuming too much space. It measures at 24 x 20 x 10 inches and weigh around 23 pounds. it comes pre-assembled and you need to install some of its part but it is quite easy by following the installation guide to attach the legs and pedals to the bike with included wrench tool. Many people also love it for the quality material they used to construct the equipment. The company claims that this one is the only under desk trainer that specifically designed for the purpose with a number of features to set it apart from other similar equipment. First, it has a low pedal height, which is just 10 inches and make it with probably the lowest pedal height in the market while even more adding to how compact it is. In the operation, thanks to the touch-free magnetic resistance system, you can exercise quietly with a smooth, friction free ride. The Deskcycle also comes with 8 resistance level, so you can adjust the power according to how much you can take it and improve little by little while using the exerciser. For recommendation, if you are picking a higher level than 3, you should using it while sitting in a sturdy chair to prevent your body moving along with your leg movement. 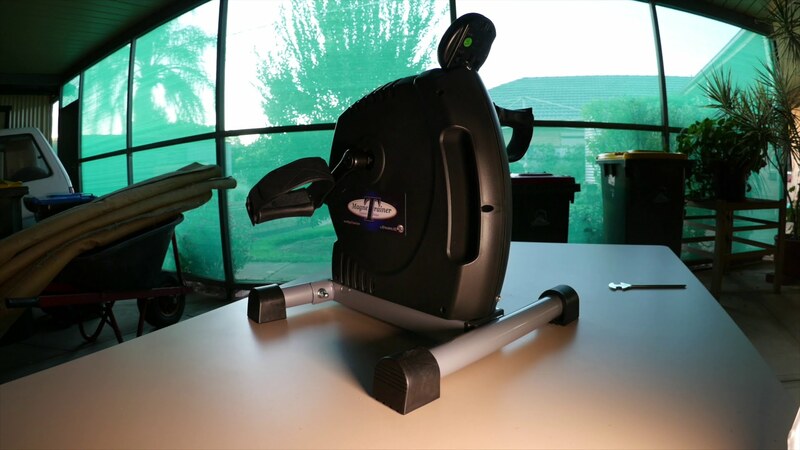 Similar like many similar pedal exerciser out there, this one also has LCD display that you can use to monitor your distance, speed, time, and calories burned. From the pedal motion, the Deskcycle provide a bi-directional pedal motion when used under the desk and for the best effect, it is recommended to always point your toes and push down as you pedal. Now, let’s compare Magnetrainer with Deskcycle. Both of them are great choice if you are looking for a way to exercise while sitting. 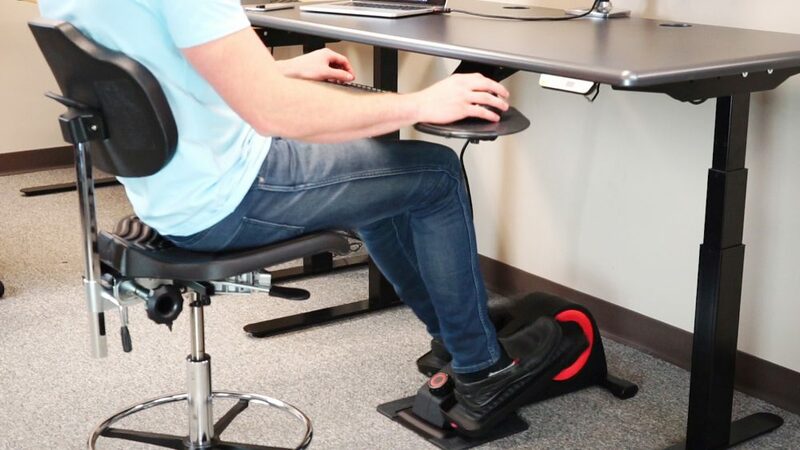 Their main difference is probably the design, since Deskcycle has lower pedal heights that Magnetrainer by approximately 5 inches, so the Magnetrainer may not that suitable when placed under the desk. Another difference is in the resistance adjustment since Magnetrainer using watt to calculate the resistance and the latter used level setting. All in all, the decision is all yours. In our opinion, both of them are equally good but when choosing which one is better, it may depend on your preference. However, in this article, we will recommend you the Deskcycle for it is has lower pedal heights if your main intention is to use is as desk cycle.